Screenwriter, journalist, poet and prose writer. She was born in 1964 in Příbram into a family of actors. She has lived in Prague since 1976. She went to Nad štolou secondary school and studied at Charles University’s Law Faculty, though she has never woked in the law profession. She has had various jobs, most of them connected to journalism. She is now a freelance writer. Her books have also been published in English, German, Hungarian, Polish and Slovenian. Dousková is once again sarcastically witty, not only towards others, but especially towards herself. She shoots on sight, not in a mean way, but rather out of an instinct for self-preservation. Her debut as a poet was connected to the literary-dramatic society LiDi, which performed in Viola. 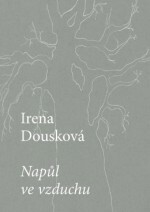 Her first poetry collection to be published was Pražský zázrak (A Prague Miracle, 1992). 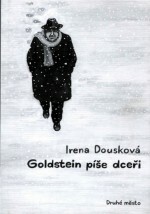 The prose work Goldstein píše dceři (Goldstein Writes to his Daughter) from 1997 looks at the relationship between a daughter and her father who has left to live in Israel (as was the case with Irena Dousková and her father, the stage director Petr Freistadt). The letters from Tel Aviv to Prague are exchanged between 1988 and 1991, and in them the ageing, tired director explains to his daughter why he emigrated and left his family, like a dark family history. 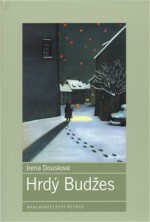 Although this mature debut went largely unnoticed, this all changed with her next novel, Hrdý Budžes (B. Proudew), which came out just a year later. 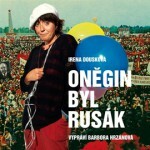 The story of the author growing up in communist Czechoslovakia (and with a child’s misunderstanding of one of the most loyal communist verses by Stanislav Neumann “And be proud, you have endured!”) impressed not only readers with its tragicomedy, but a theatre version also ran for 600 performances. Dousková created the character Helenka Součková, a second-year primary-school pupil, and it is her story and slightly naïve approach which shows the absurdity of the Normalization process under President Husák. 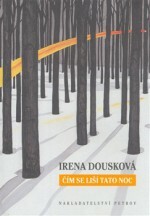 The book was first published by Hynek in 1998 and then four years later by Druhé město, who are still Dousková’s publishers today. 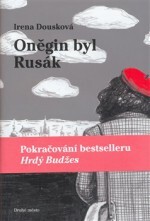 In 2006 Dousková wrote a follow-up to the successful Hrdý Budžes called Oněgin byl Rusák (Onegin was a Rusky). Helenka Součková is now growing up and despite her suspect political profile, she is accepted into secondary school. Therefore, charting the absurdity of socialism can continue. 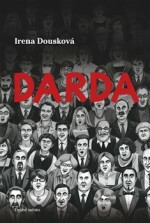 The final work in the trilogy is Darda, which Dousková wrote in 2011. Součková is now married to Jindřich Darda (and getting a divorce) and has two children. 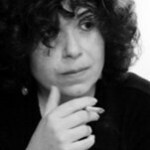 The sensitive and cynical heroine has to continute her struggle, though this time not against totalitarianism but cancer. Doktor Kott přemítá (Doctor Kott Wonders), Dousková’s collection of twelve short stories, came out in 2002. Here to she is able to portray stories of “ordinary” relationships and bring a cynical humour to everyday observations. Contrastingly, two years later she brought a gloomy and balladic atmosphere to the nine short stories published under the title Čím se liší tato noc (What Makes This Night Different). 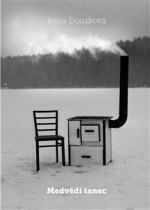 In O bílých slonech (White Elephants), published in 2008, the mood of the short stories was somewhere in-between, leaning perhaps more towards melancholy. 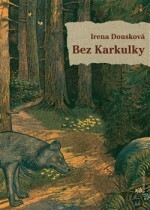 In 2009 Dousková returned to poetry with her collection Bez karkulky (Without the Riding Hood). Irena Dousková’s latest and most extensive work to date is Medvědí tanec (Bear Dance, 2014). The novel follows the last stage of Jarolsav Hašek’s life in Lipnice, but there is also an elaborate portrayal of the Czech village life where Hašek finished writing his Švejk. The narrow-mindedness destroys the bohemian, and although he responds with palavering and reminiscing about his youth, he is in fact continuing in his self-destruction. The pub audience is no longer his adversary and has become a sad witness to the end of a great rebel. When he sees his Russian wife Shura, there are moments when he looks like a terrified child.